Reveal the secrets of Sheldon Howard's house in new incredible Hidden Object Adventure Antique Mysteries: Secrets of Howard’s Mansion! Before his death, millionaire Sheldon hid his most valuable antique collection in the multiple rooms of this huge mansion he spent years building. Explore all the different locations, find all the clues! Do you want to know why the proprietor of the house did refuse to explain why he built all these rooms? Download totally for free Antique Mysteries: Secrets of Howard’s Mansion right now and find out! 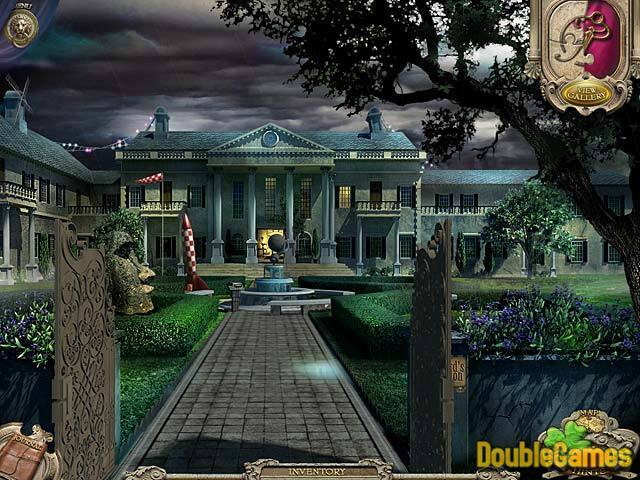 Title - Antique Mysteries: Secrets of Howard's Mansion Game Download for PC and Mac Description - Pay attention to Antique Mysteries: Secrets of Howard's Mansion, a Hidden Object game presented by Casual Mechanics. What are the secrets of mysterious room in a huge mansion? You can also have a close look at Antique Mysteries: Secrets of Howard's Mansion walkthrough on the blog. According to the plot, the long gone owner of the ancient villa and the antiques apparently had a paranoid need to keep building secret rooms to collect antique items. So, you are tasked to reveal all those antiques that have been cleverly hidden throughout the manor house. 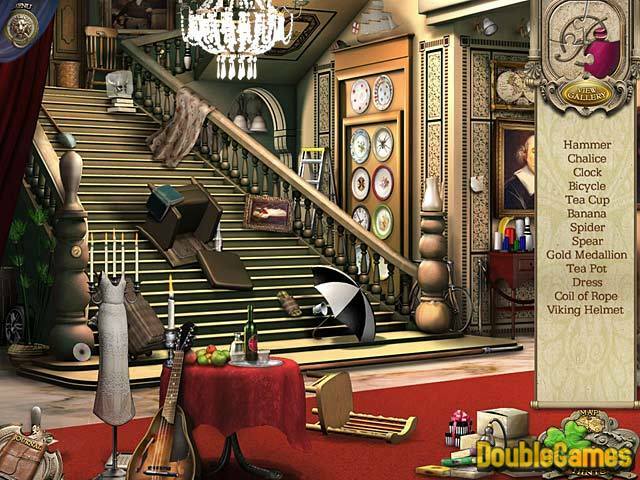 At first sight the storyline might seem too elementary, nevertheless you will need your thinking cap to crack all these hidden object puzzles. The further you got to the game the more you realize that Antique Mysteries: Secrets of Howard’s Mansion is far different and has a good deal of fun. Beside challenging scenes for searching, the developers managed to put considerable thought in every aspect of the game. 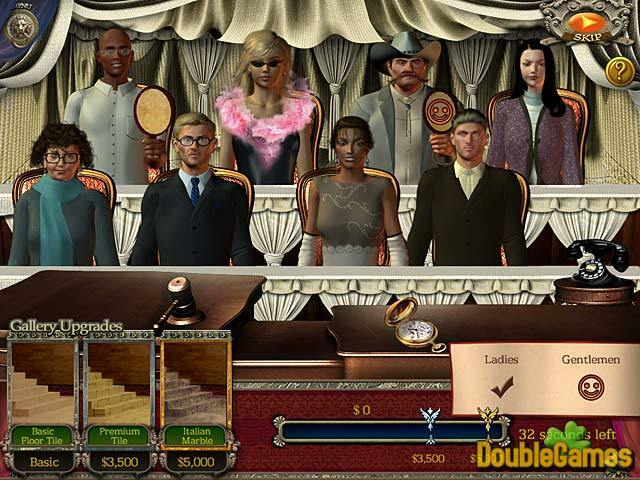 If you are pretty burned out with hidden object scenes, there are not so many of them as the core gameplay is still devoted to solving puzzles and mini-games, and going to and from restoring the old house. The mini -games are all different that you have hardly tried before. Of course, it is well-peppered with some mystery. The best thing about Antique Mysteries: Secrets of Howard’s Mansion is its interactive part that is surprisingly not hard and not too boring. The hint system is very handy and generous – the skip button reloads in less than one minute. As for the game’s artwork, it is brilliant and very careful. Detailed scenes and well-animated make you enjoy the beautiful surroundings of the new title. Unlike most related games, Antique Mysteries: Secrets of Howard’s Mansion has a very good voice-over that adds much on game atmosphere. If you are tired of old static Hidden Object titles, it’s high time to try Antique Mysteries: Secrets of Howard’s Mansion.